I don’t know about you, but my skin has been AWFUL over the last month or so. I’ve had issues with adult acne since I hit my mid twenties, which is fun, but after a long bout of antibiotics, a change to my skincare, and getting rid of all artificial hormones, I’ve managed to calm it down, a bit. Recently though my chin and nose have been kicking off. I’m not sure if it’s been the change in weather, my diet (which was mostly gluten based, but not anymore!) or just a run of bad luck, but it was driving me mad. Facing the day with loads of spots when you’re mid thirties, or any age for that matter, is a bit soul destroying. 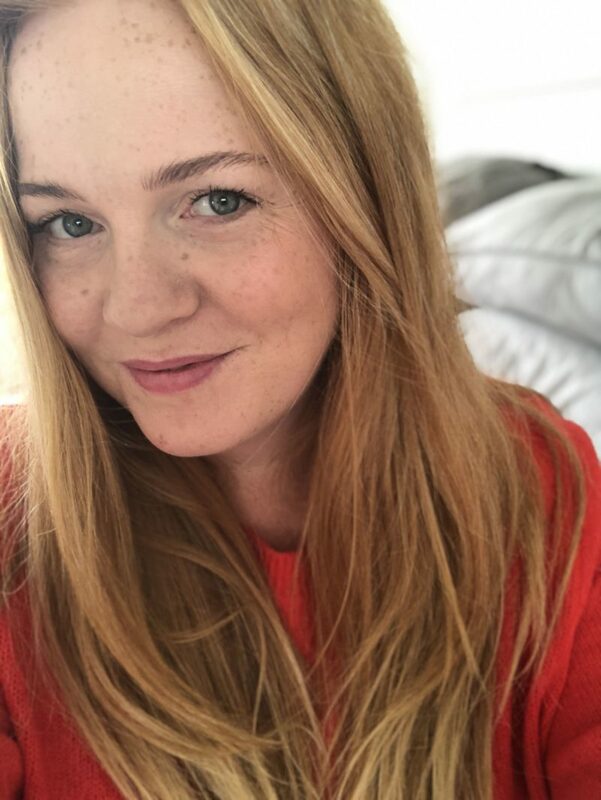 I’ve stuck to a few skincare products during the breakout, I didn’t want to try anything new in case it aggravated anything, and by using products my skin was already used to, I knew it would eventually start to work. I’ve been using an oil cleanser, followed up with a second cleanse with micellar water, as always. I have found that I tend to get weird skin when it’s really dry and dehydrated, so I’ve been using a lot of hydrating products. 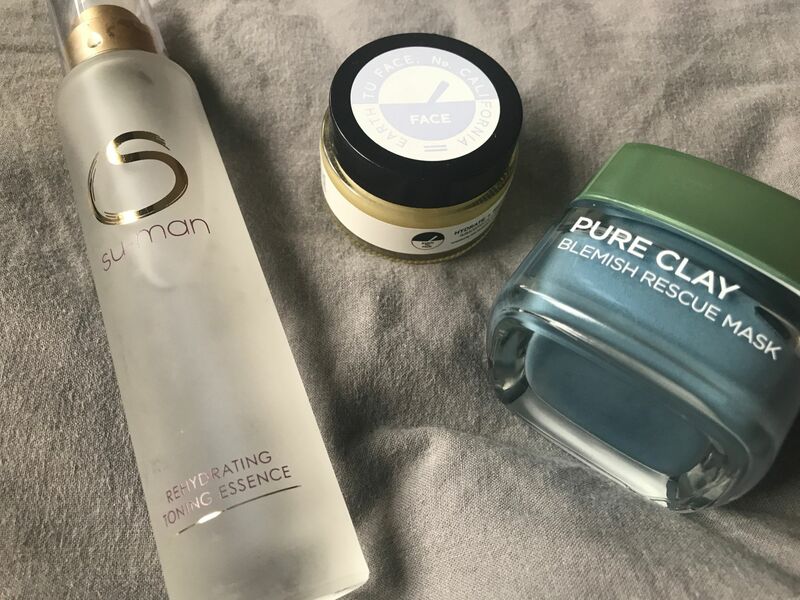 The Su-Man rehydrating toning essence is one of my favourites, it came in a beauty box in the summer, and I’ve been using it ever since. If I’m having a particularly bad skin day it can sometimes sting a little, but not massively, and on good days, it feels really lovely. 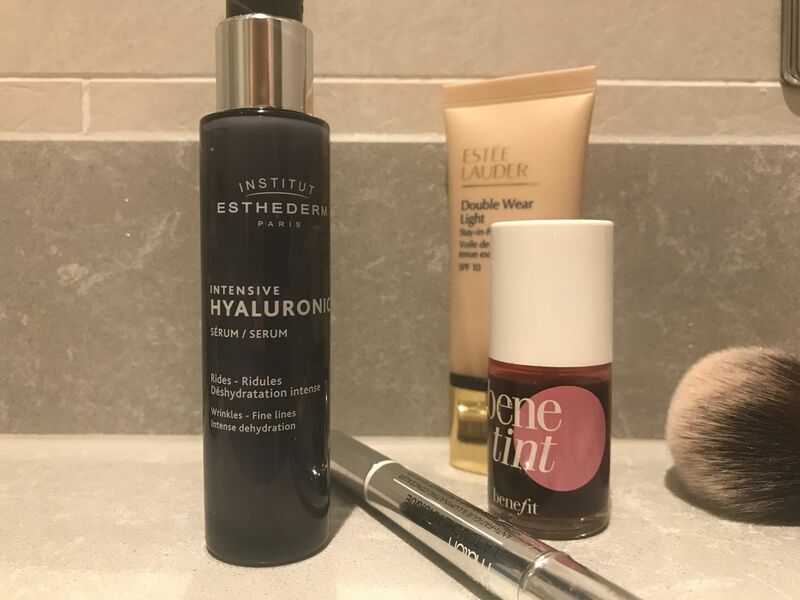 Next in the routine is the Intensive Hyaluronic Serum from Institut Edthederm – this stuff is SO good. I’ve almost run out which is worrying! Re-purchase necessary! This is designed for severely dehydrated skin, made with three different forms of hyaluronic acid that penetrate the layers of the skin, essentially filling it back up with lost fluids. The best way to use it is as a 2 month intensive treatment, but I love it so I’ve been using it under my oil and moisturiser morning and evening. It costs £37 from Look Fantastic. 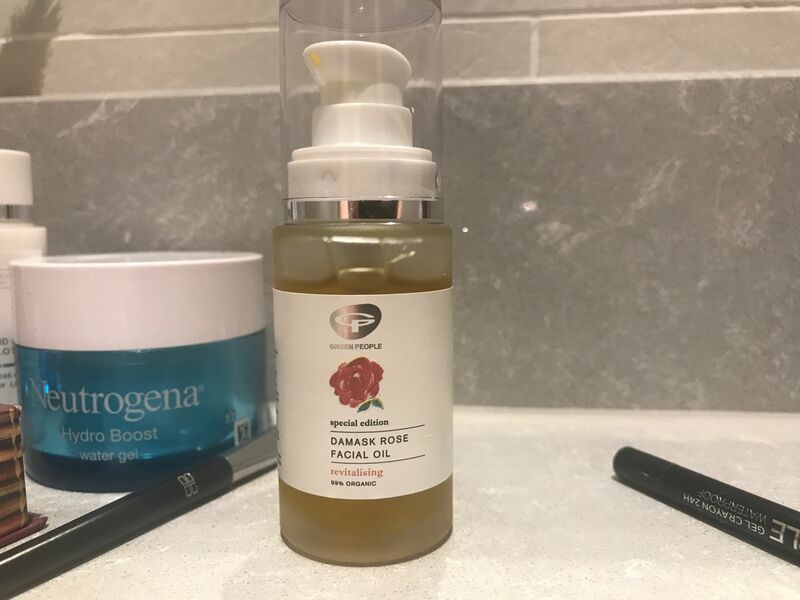 After the serum (it’s all about the layering) I use Damask Rose Facial Oil by Green People – I LOVE the smell of this! It’s 99% organic and suitable for all skin types. It’s so comfortable on the skin, it really feels like it’s doing something magical, but it’s not so heavy that it feels slippery, or something you should only use at night. It has lavender, basil, majoram and rose otto blended with lemon peel to balance and brighten a dull complexion (hello, that’s me) and helps to fight off the appearance of fine lines and wrinkles. £29 from Green People. Finally, in the moisturisng section, I’ve been using Neutrogena Hydro Boost Water Gel. It kind of feels like a summery moisturiser as it’s so light and gel like, but my skin seems to like it. Nice and cheap too, £12.99 from Superdrug. I do want to invest in a richer cream for night time, but I should probably work through my collection before I spend anymore cash…! For extra dry patches I’ve been using Earth Tu Face‘s concentrated face balm, which is packed with rose absolute, immortelle and healing beeswax to lock in essential moisture. It calms irritations, the beeswax is a natural antiseptic which softens and protects and it’s free from alcohol, fragrance and toxins. It feels like vaseline, but a million times better and like a big ahhhhh on the skin. 25g costs £60 from Net-A-Porter. 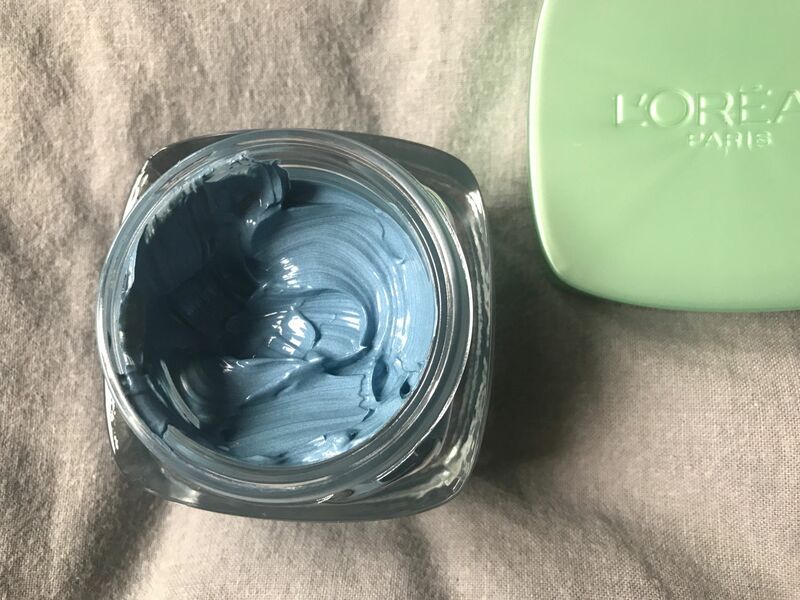 Lastly, to try and bring the spotty version of me out, and detoxify, I’ve been using L’Oreal Pure Clay Blemish Rescue Mask once or twice a week. Whack the blue mask on, leave it to dry for about 15 mins and then rinse it off, it unclogs pores and leaves the skin feeling fresh but not dry, which is what usually happens with clay masks (for me anyway) £7.99 from Boots. I love a face mask, I’m working my way up to the Glam Glow ones, but this one does the job for a fraction of the price!